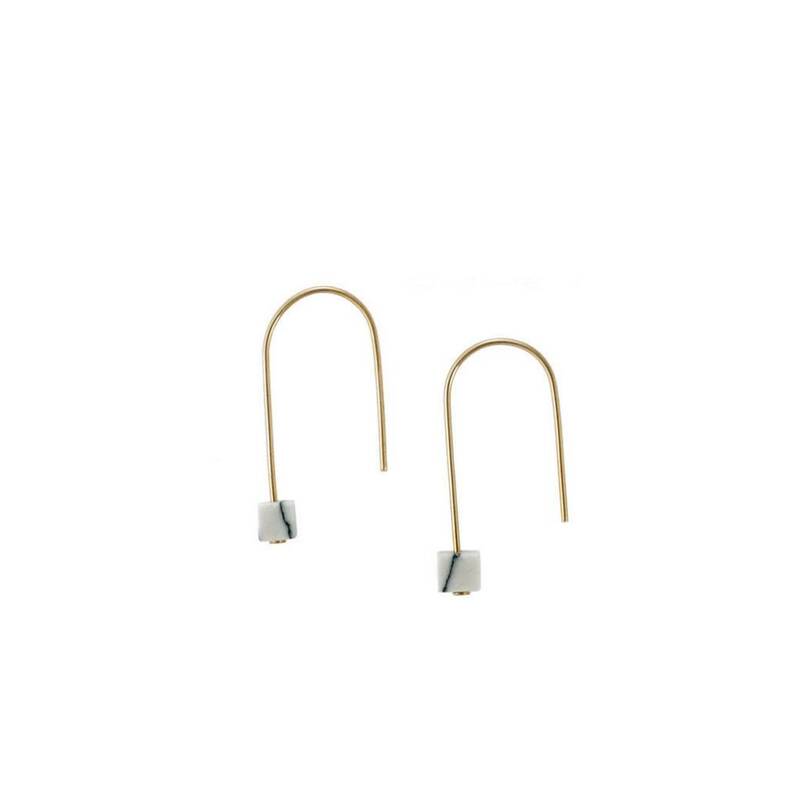 Earrings - Wildland Supply Co.
Delicate 14k gold earrings with 14k gold fill posts and backs. An update on the traditional hoop style. 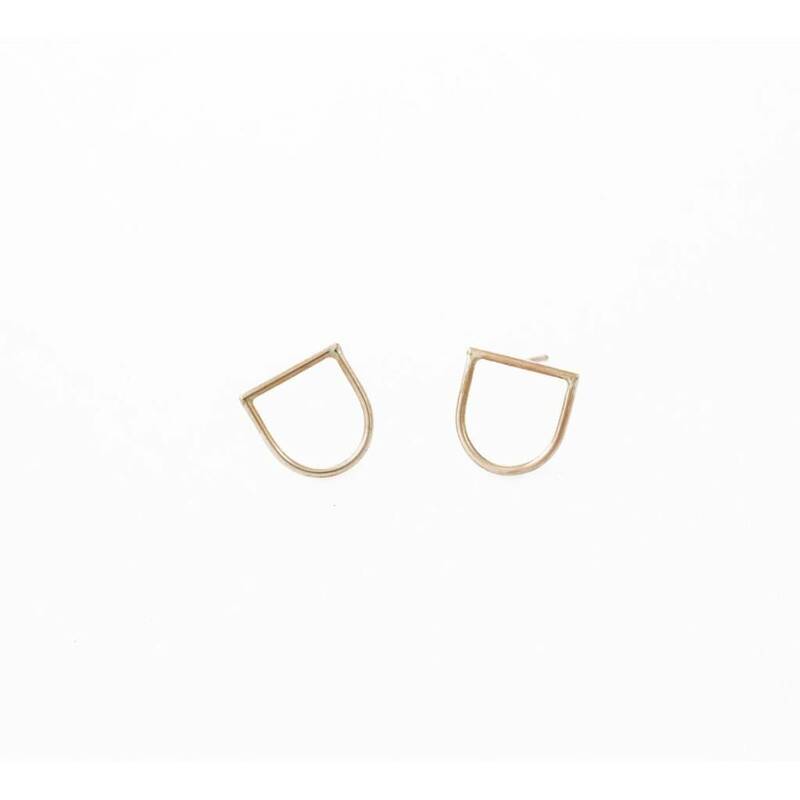 Hand-formed brass hoops with sterling silver posts and backs. 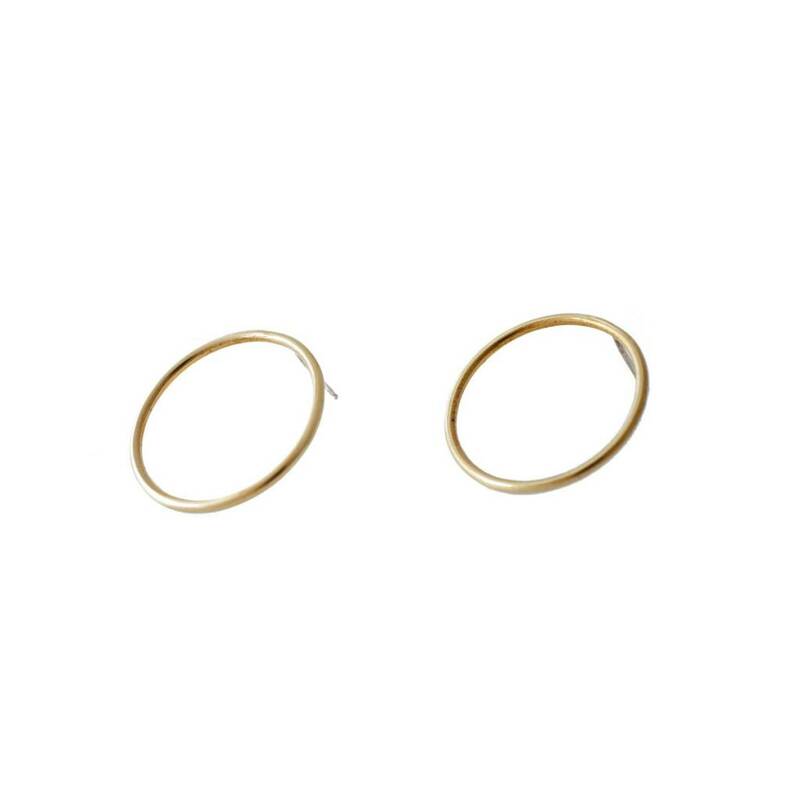 Hoop diameter is 1". A modern art mobile for your ears. 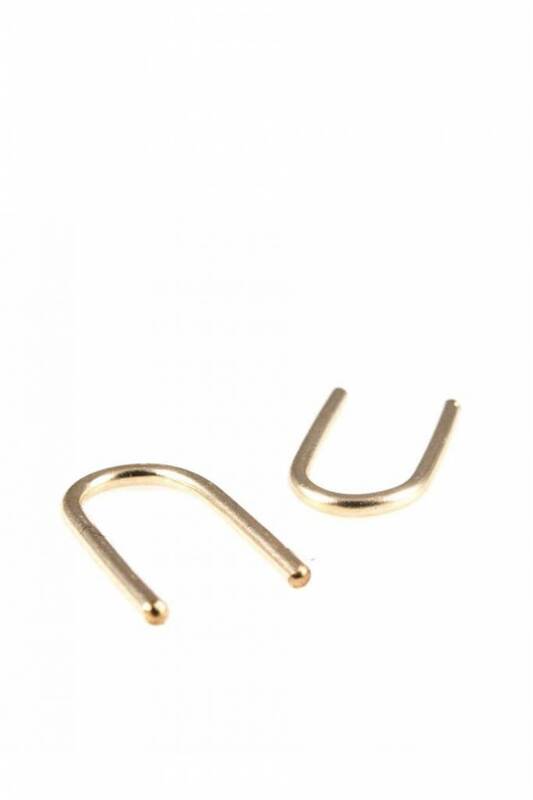 Earring measures 1.5" long and 1.75" wide and has a gold-fill post. 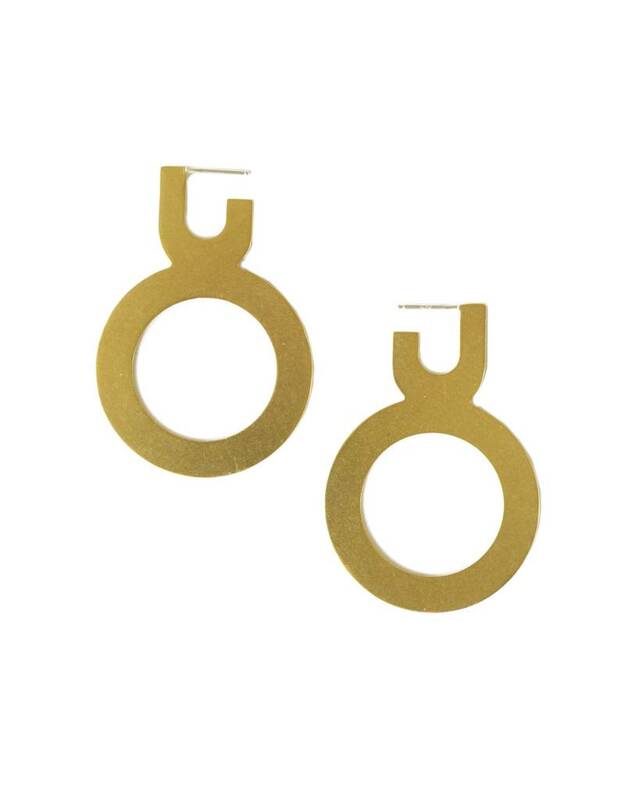 Gold plated circles have a matte finish, while the arc has a shiny finish. 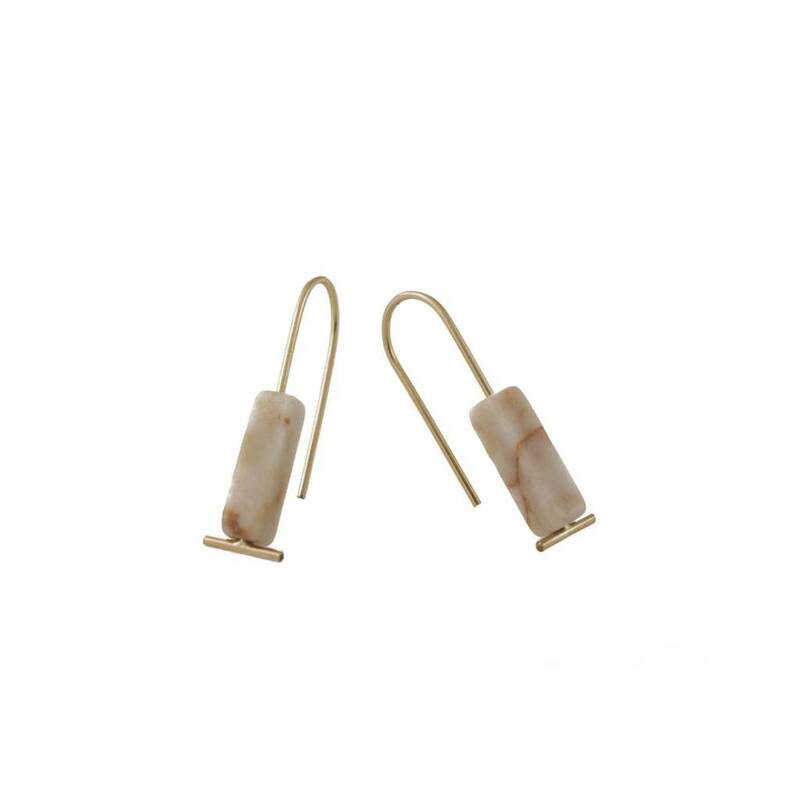 Delicate 14k gold fill earrings with pink marble stone. 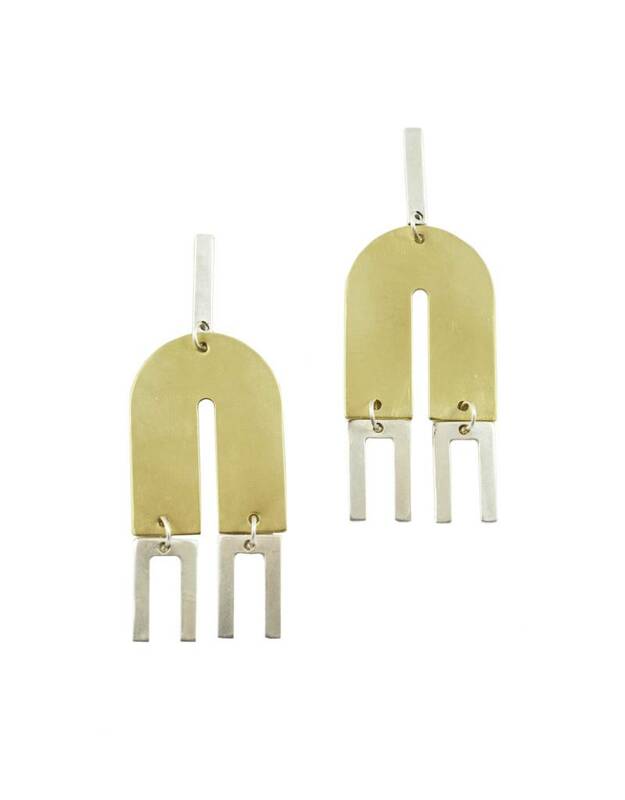 Hand-formed sterling silver earrings with sterling silver ear wires. 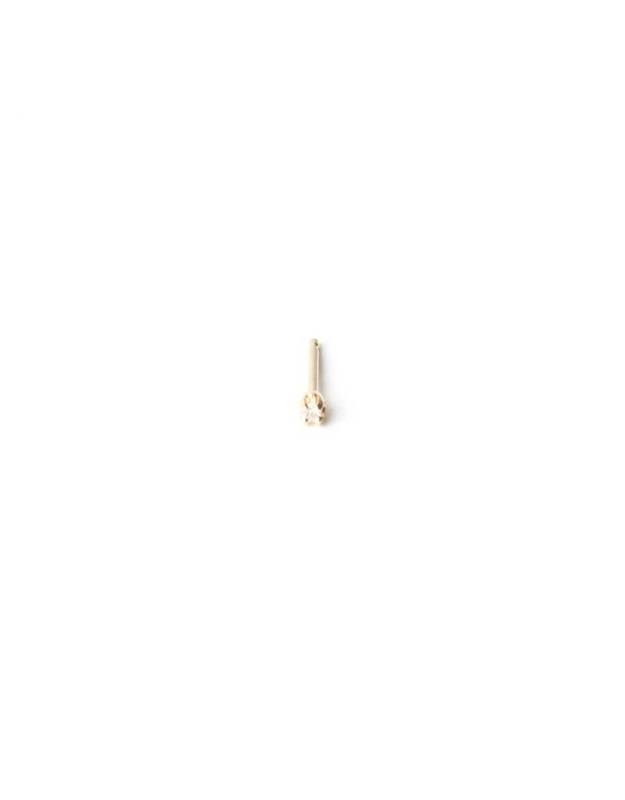 Earring measures 2" tall and 1" wide. 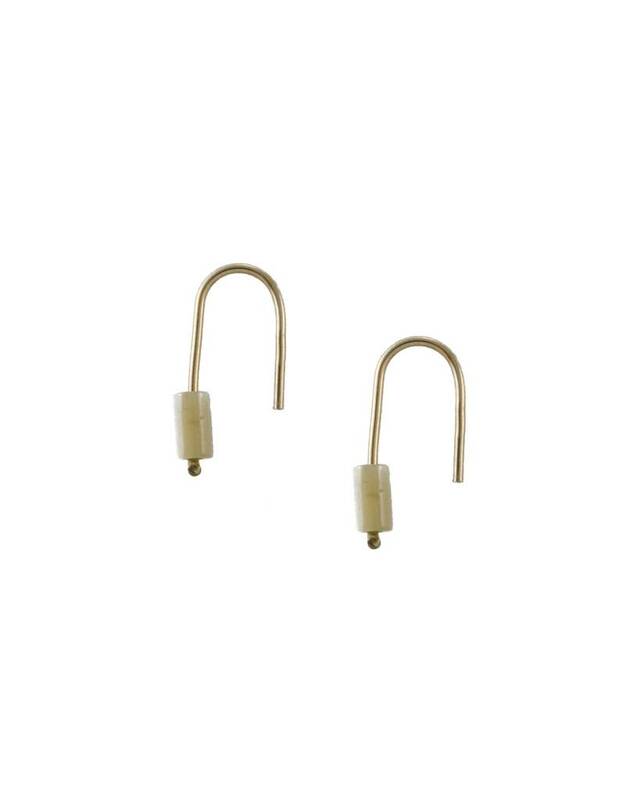 Solid bronze studs with 14k gold fill posts and backs. 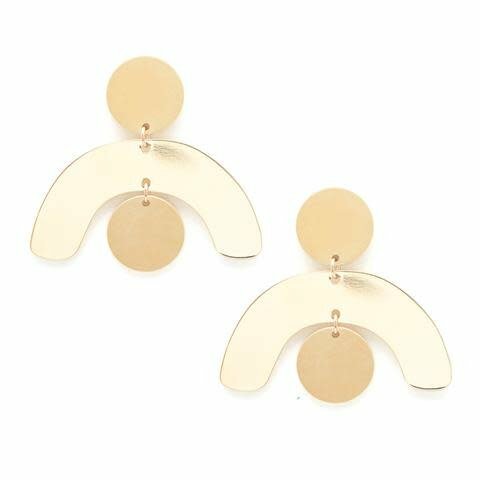 Can be worn to face toward or away from the face. 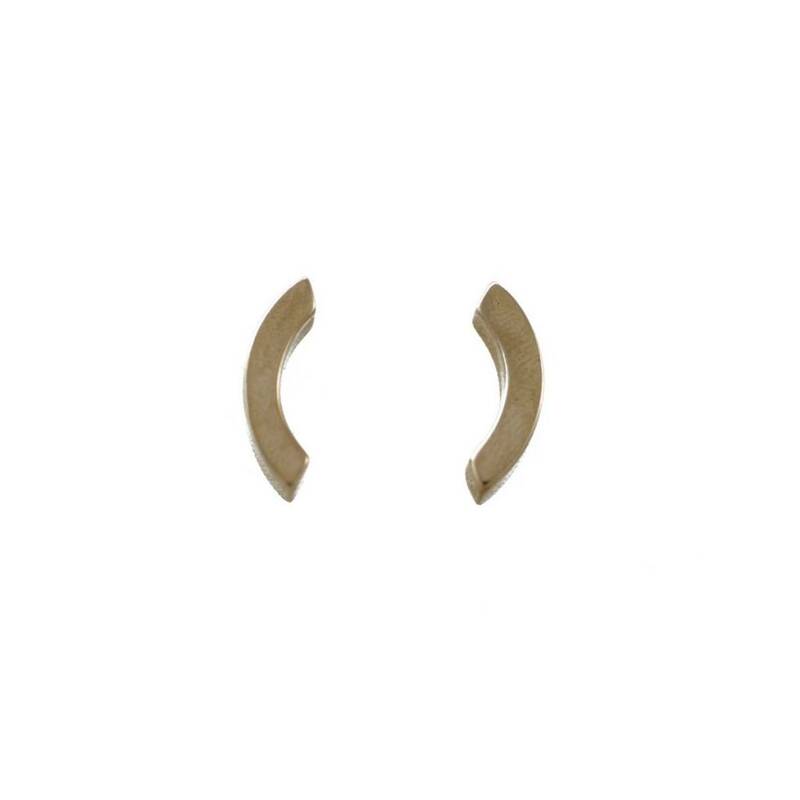 Bronze earrings with square howlite accents. 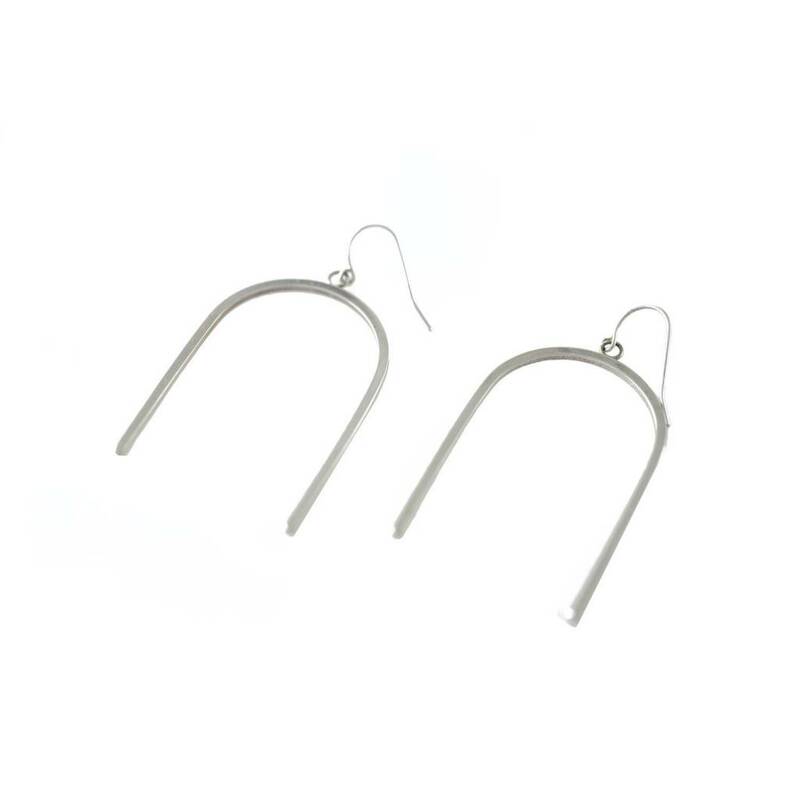 Hand-formed sterling silver hoops with sterling silver posts and backs. 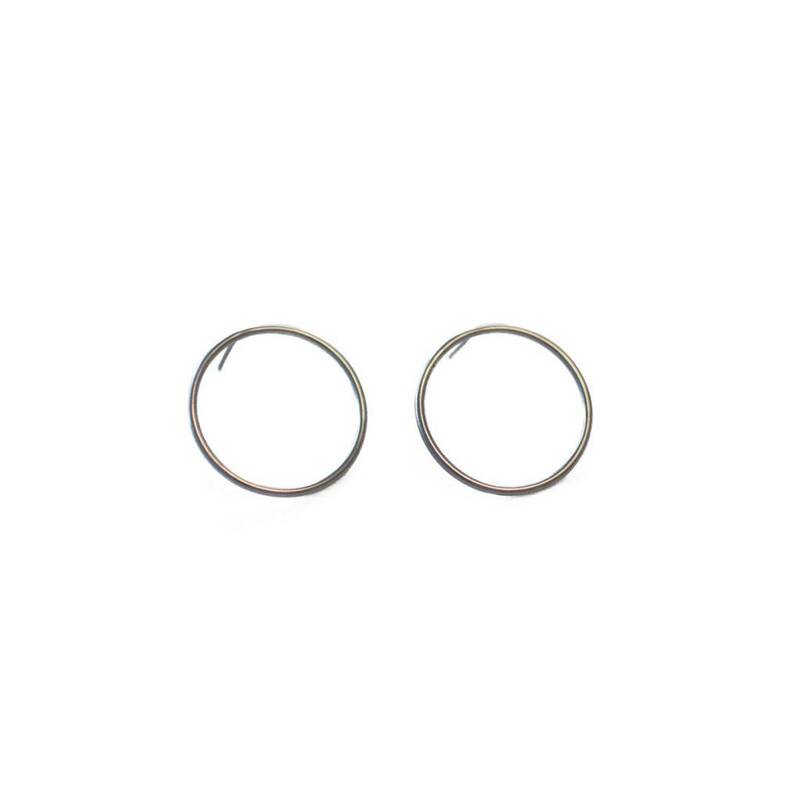 Hoop diameter is 1".